NEW YORK , NEW YORK, USA, December 10, 2018 /EINPresswire.com/ -- The State University of New York (SUNY) gives students, employees, and their relatives access to top-quality resources to help them save money on everyday products and services. PerksConnect1, an exclusive benefit program offered through the university, provides regular discounts in 13 NY regions. SUNY is a leading institution with hundreds of thousands of individuals currently enrolled and even more participating in continuing education and instructional activities. They currently provide unparalleled instruction and services to over a million people across 64 campuses, and the PerksConnect program2 is one of many ways the institution makes such a large impact across a broad range of students. The mission of the university is to provide “educational services of the highest quality, with the broadest possible access, fully representative of all segments of the population in a complete range of academic, professional and vocational postsecondary programs.” SUNY accomplishes this by offering a geographically distributed system of campuses that host hundreds of high-quality courses. This comprehensive educational program aims to meet the needs of all students, traditional and nontraditional alike, while simultaneously addressing local, regional, and state needs and goals. Millions of people have taken advantage of SUNY perks, saving money and gaining access to higher education resources not available to most students without an outstanding free. PerksConnect links students, alumni, employees and their family members to available discounts and exclusive deals within their specific regions. The SUNY Perks Card can be used to save money on everyday needs and even entertainment or shopping expenses. Higher education is a large expense, and shaving off the extra costs of things like car repairs, food, and home and professional services can mean a world of difference to students. SUNY is able to meet the diverse needs of its million-plus students by making PerksConnect accessible online and in smartphone applications, allowing discounts to be accessed on the go. Students and alumni can acquire discounts by presenting their physical Perks Card or mobile app coupon at the time of purchase. 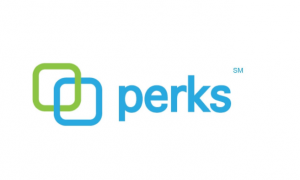 PerksConnect helps students tackle daily finances as well as keep up with their health by offering exclusive discounts and benefits at regional medical facilities. General and specialty health care is offered at a reasonable cost in supported hospitals, clinics, and programs as well as through networks and joint relationships with top health care providers. In this way, SUNY and their PerksConnect program empowers students to focus on furthering their education while leaving as much worry over costs and bills behind. It also opens the door to unique and highly-advantageous benefits for SUNY employees. Within each region supported by SUNY are special offers for everyday purchases in addition to more specialized items. Students, alumni, employees, and family simply set up their member profile in the PerksConnect online system to begin accessing their savings. And as easily as that, SUNY offers a range of savings that allow students to focus on their studies and employees to excel in their profession, saving them precious money in the long run.